With wildfires still raging across parts of Southern California, dozens of schools have been closed. Many will stay that way till the new year. That gives educators valuable time to think about what they can do, when school resumes, to help students who have been traumatized by these fires. One answer can be found a few hundred miles north, in Santa Rosa. In late October, students there returned to class after three weeks away. A massive wildfire had swept through the city of 175,000 and the surrounding county, killing at least 22 people and destroying or damaging at least 5,500 structures. The Tubbs Fire took the homes of many students at Northwest Prep Charter School, a small secondary school in northwestern Santa Rosa. Given the trauma their community had just experienced, teachers knew they couldn't dive right back into algebra. On the first day back, all 75 students at Northwest Prep gathered in a community circle and spoke about the fire's impact on their lives. "I think every one of the students who lost a home spoke during that discussion, which we didn't expect," says Jessica Hadid, the language and communication teacher there. One of those kids was Clark Howe. The seventh-grader remembers Oct. 9 clearly: He woke up to a chaotic scene around 1:30 a.m. His dad told him they needed to leave right away. Clark grabbed some of his things and rounded up the family dogs. After picking up a neighbor who couldn't drive, his family headed out onto the packed roads, full of other people evacuating their homes. "We were all really nervous, there were just cars everywhere, people driving on the wrong side of the road, fires starting on lawns," Clark says. "We were all just really scared for what could happen." He and his family made it to safety, but their home, located in Santa Rosa's Coffey Park neighborhood, was completely destroyed. They lost some of their most prized possessions: a classic Mustang in the garage, some favorite stuffed animals left behind in Clark's bedroom. "Nothing was left," Clark says. "Everybody lost something." 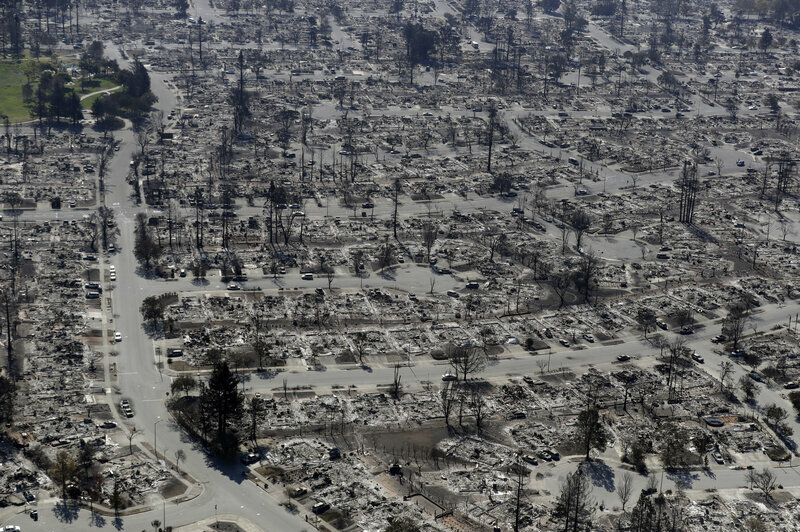 An aerial view shows the devastation of the Coffey Park neighborhood in Santa Rosa after a wildfire swept through. Before returning to school, Northwest Prep's teaching staff received trauma-based training to help students cope with the aftermath of the fires. But the teachers also wanted to do something in the classroom. "We realized we needed to do something, as a school, to help our students and really our whole community process what we'd all been through," says Alyssa Dossat, a math teacher. When she was evacuated from her own home, Dossat took her kids to a museum. Her 7-year-old was looking at an exhibit about earthquakes that struck California in 1906 and 1989. "She was reading it going, 'Mom, who, who wrote this? Who are these quotes from?' " Dossat says. "I said, 'They're just from people, sweetie, that's how it works. That's how we record history that way.' "
In that moment, Dossat had an idea: This could be done in her school. At that, an oral history assignment was born. 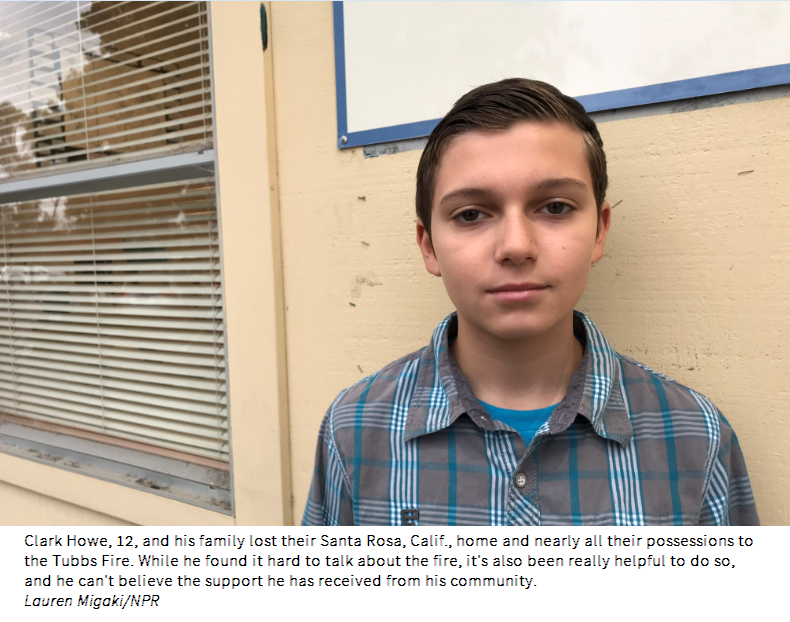 As part of the project, Northwest Prep students will use their smartphones and tablets to record stories from the Tubbs Fire and its impact on the Santa Rosa community. From there, students will curate and archive the firsthand accounts. The fire has brought the community together, says Adam Napoleon, a social systems teacher. He hopes the project will go beyond storytelling and provide a "sense of healing" to both the students and their interviewees. "They can provide not only this historical record, but this emotional healing aspect that a lot of people in our community need right now," he says. After the fire, Clark was eager to get back to school and be with his friends — many of whom also lost their homes. As he returned, he sometimes found it hard to talk about the fire and remember all that was lost. But, Clark says, it's also been really helpful to talk about it — and he can't believe the support he has received from his community. His family received many donations and has since been able to relocate to an apartment building. They plan to rebuild their home. 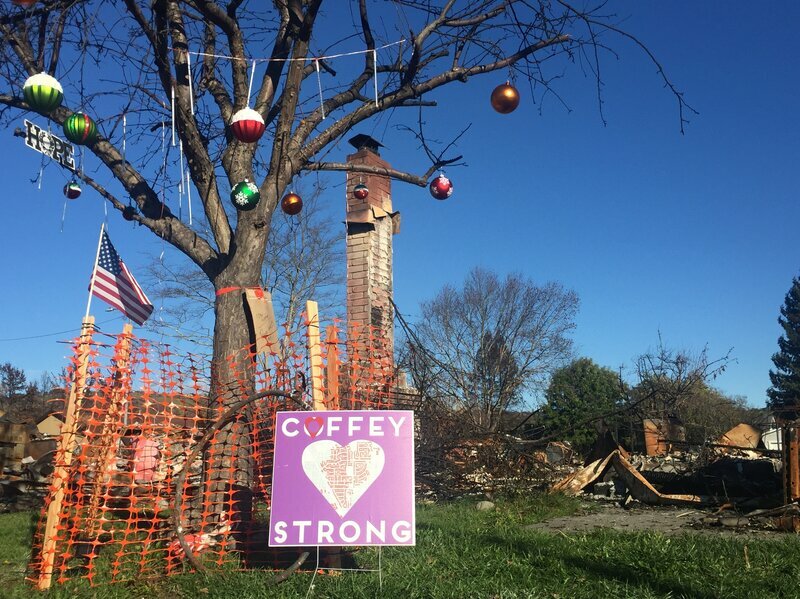 The Howe family and neighbors returned to their old neighborhood to put Christmas decorations on one of the few trees left standing after the fire. Earlier this month, Clark's family and neighbors returned to their old neighborhood to put Christmas decorations on one of the few trees left standing after the fire. "We're not struggling very much anymore. We're looking for some good holidays," he says. How Much Do Teachers Spend On Classroom Supplies?